Hey! As most of you guys probably noticed, we added a new plugin a few days ago wich introduces the ability to brew drinks in HelloMiners. Until today, all the possible drink recipes are only the default ones (they came with the plugin itself). In this topic we will introduce the new recipes and a little tutorial to teach you guys the art of Brewery. - Not being able to control basic movements if you are too drunk (just like irl lmao)! - Brewing your own drinks! Basically, brewing stuff is very easy. 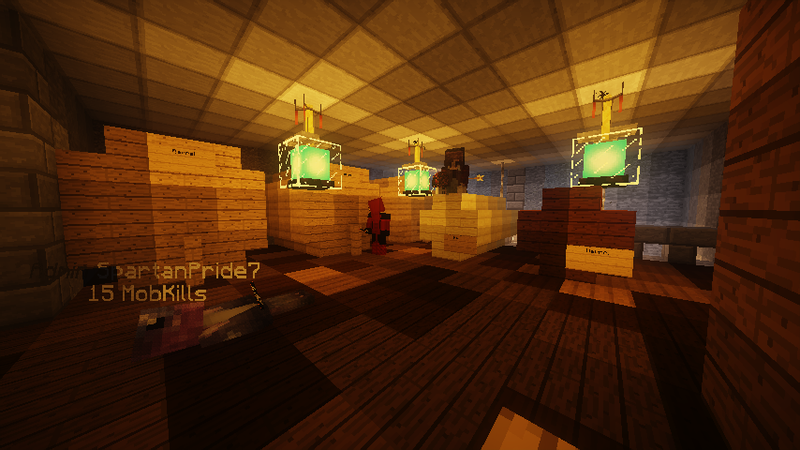 You need a cauldron, water, a lit source (preferably netherrack+fire) and you are good to go! Each drink has its own recipe, therefore, its own ingredients and tools needed to be made. Some drinks needs to be aged in barrels, some needs to be distilled, etc. In this tutorial you will see how to make all of these stuff. Please notice drinks quality can range based on the production. If you overage your drink, it won't have the same quality as if it were aged correctly. For aging, its good to point out that 1 year aged means 1 minecraft day, wich equals to 20 minutes irl time. Therefore, if a recipe calls for a 14 days aging, it means it would take 280 minutes irl, wich would be around 4-5 hours. First of all, you need a cauldron and a water source. 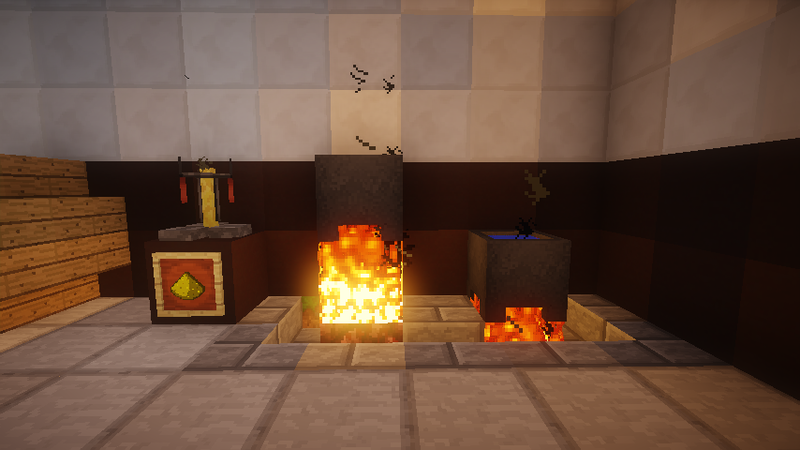 Place a netherrack 2 blocks under your cauldron, lit it up with a flint and steel, and then place the cauldron right above the fire block. If you make it like the picture below, it should be alright. To use the cauldron, just right click it with the ingredients in your hand. Make sure you only place the needed amount of every ingredient, otherwise it will affect the drink's quality! To check how long the drink has been boiling, right click the cauldron with a clock. Notice each recipe has its own time, so make sure to not overcook your brews! The second important thing is the brewing stand. It is used to distill drinks (not all drinks need it). To use, you basically place a glowstone dust in it (wich won't be used, therefore it lasts for as long as you brew) and then place the bottles inside. Wait for it to be ready then take it off! Some drinks need a x amount of distill rounds, make sure to not distill more times than needed. 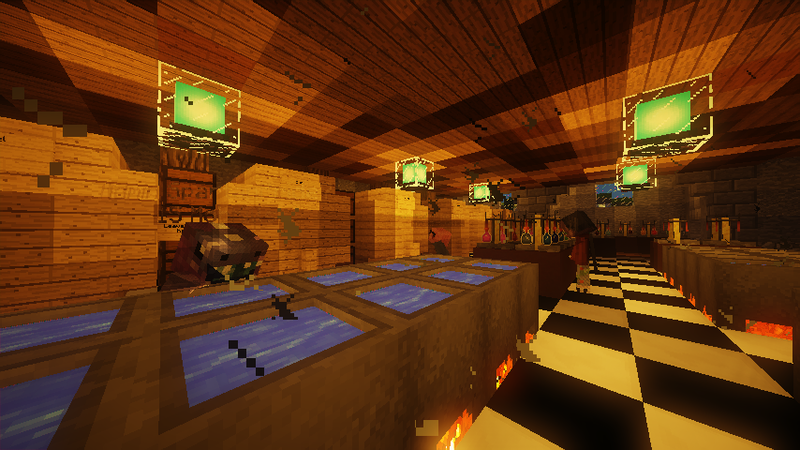 After you have your cauldron and brewing stand set up, its time to think about barrels! There are 2 sizes, the big one and small one. 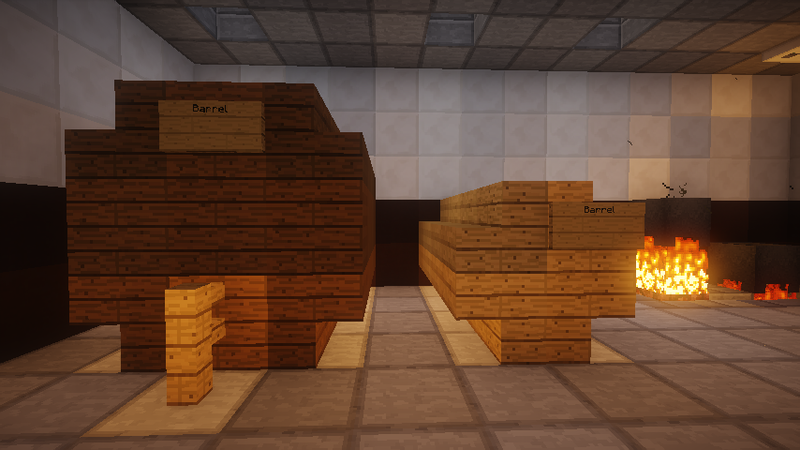 Notice all barrels can be made out of every possible wood type, and each recipe has its own type of required wood. To make a small barrel (9 slots) you will need 16 stairs and 1 sign. 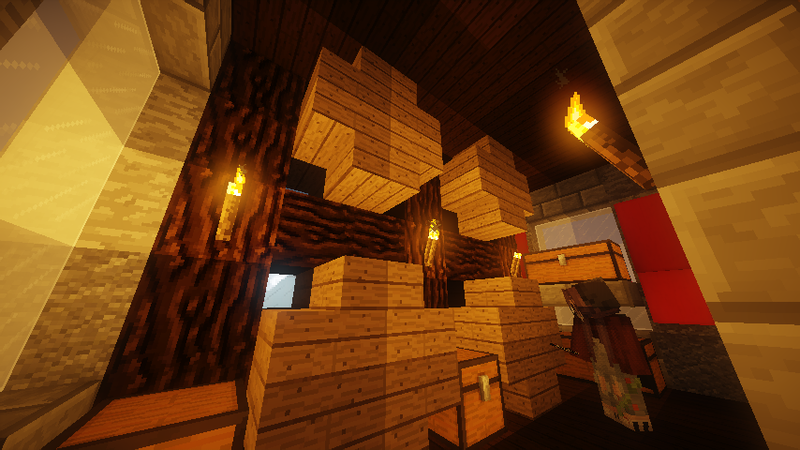 To make a big barrel (27 slots) you will need 20 wood blocks, 16 stairs, 1 sign and 1 fence. The building format is shown in the picture below. After you place the sign, write ''Barrel'' in the first line. The message ''Barrel created'' should pop up to certify it worked. 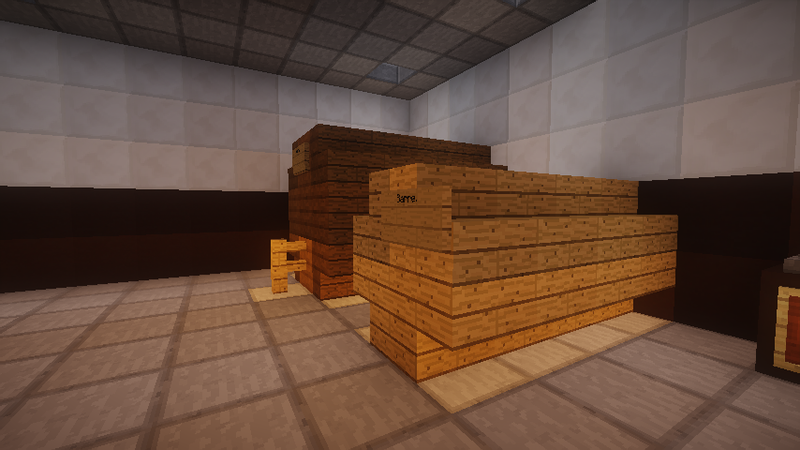 Barrels works like chests but they age your drink, where 1 year aged equals to 1 minecraft day. Overaged drinks loses their quality, so make sure to age the right amount of time. Now you have all the basic knowledge necessary to make a brewery! Lets go to the recipes. These drinks are secret brews! There are only two ways you can brew one of these drinks: you can test different recipes until you find the one, or, you can search for the recipe! Throughout HelloClan City (including suburbs and HelloHills), River City, and Valley City, there are hidden dispensers. There is 5 total for each of the hidden drinks. If you find one before anyone else, you have unlocked the recipe! Keep it a secret so you and others who find the other recipes are the only ones who know the brew. This is it so far! Stay tuned for more updates such as food, more drinks and etc. Don't forget to thanks @SpartanPride7 for adding the new drinks! 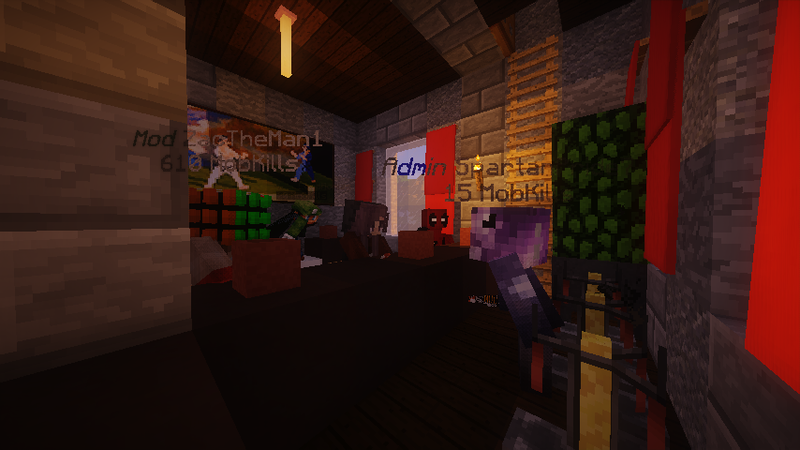 If the community accepts the idea well, we will be adding more drinks soon! Invite your friends to a bar! 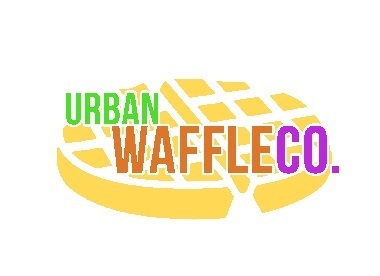 Make your own brewing business and supply restaurants, bakeries, cafes, etc! Do you know if any of the secret brews have been found yet? JokinWaffle wrote: Do you know if any of the secret brews have been found yet? All of them have found. I will add 5 new ones this weekend. Hints will go here at 2pm EST on Saturday for the next five. Only 1 recipe of each will be made! As much as I enjoyed this it would be nice if it was more widely avaliable for different regions besides the americas. If you gave less hints and made them more like puzzels and riddles requiring lots of knowledge of the servers history and geography, aswell as outworld things such as sciences maths humanities art ect. it would be nice if some of thrse recipes where avaliable like this as it would/should take days to find apposed to minutes. Thus more regions can indirectly participate instead of givinh people in the americas a monopoly on brewing. I like it! Great new market! I think it'd be cool if some more valuable brews took even longer to make. Be cool if we added more types of wine too! Zyra_bot wrote: As much as I enjoyed this it would be nice if it was more widely avaliable for different regions besides the americas. If you gave less hints and made them more like puzzels and riddles requiring lots of knowledge of the servers history and geography, aswell as outworld things such as sciences maths humanities art ect. it would be nice if some of thrse recipes where avaliable like this as it would/should take days to find apposed to minutes. Thus more regions can indirectly participate instead of givinh people in the americas a monopoly on brewing. Yep! 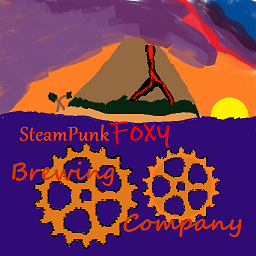 Consider this a test run, many more hidden brews will be coming, and their hints will be given on forums for everyone . Love it, I'd also love to see the following recipe come to HM .